Please come and join us to celebrate Christmas with a traditional brass band sound. 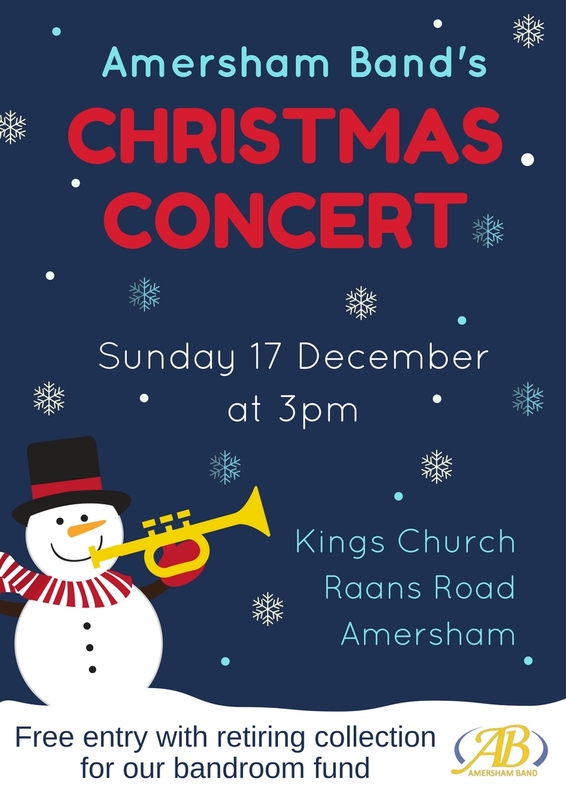 The concert features our main Amersham Band, Community Brass and our Brass Roots beginner group and the programme includes an opportunity for the audience to sing traditional carols. The concert is free of charge and we will make a retiring collection in aid of our bandroom appeal. Refreshments will be served after the concert.